Nebraska Christian offers a three-day per week preschool program, taught by a certified teacher. (Learn more about teacher Stacy Berck here.) Fun is a big part of preschool learning through crafts, games, songs, and writing. Nebraska Christian’s preschool is intended for 4- and 5-year-olds who are toilet trained. 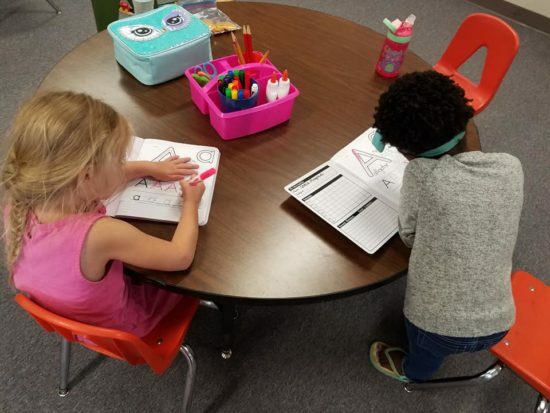 In 2019-2020, preschool will meet from 8 a.m. to 11 a.m. on Tuesdays, Wednesdays, and Thursdays when school is in session. We will be holding our preschool preview on March 18 from 8:30-10:00 a.m. Meet teacher Stacy Berck and learn more about our program! No reservations are necessary.